This photo plays around with scale. 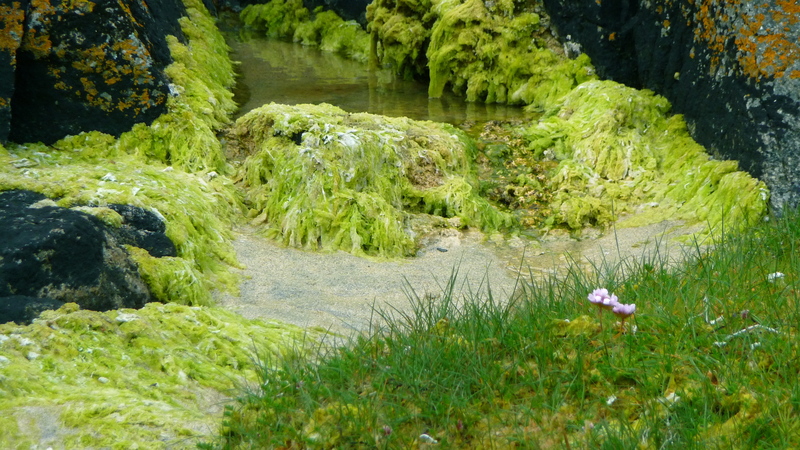 It’s a close up of the edge of a rock pool boardering on a grassy verge in the Isle of Lewis, Scotland. I think, when you first look at it though, it looks like some scene out of the jurassic period, you half expect some prehistoric creature to come crawling out of the jungle…you may have click on the photo and blow it up to get the full experience of what I mean.